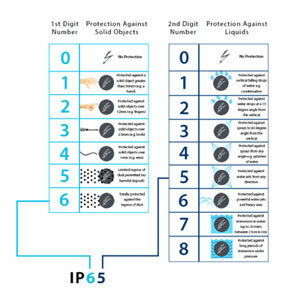 What Is An IP Rating On A Light Fitting? A constant current driver varies the voltage across the electronic circuit in order to keep and maintain a constant electrical current. This makes sure that no matter the change in voltage, the current driven to the LEDs will remain at a steady, desired level. On the other side, constant voltage drivers have a fixed voltage, as their name implies. Most constant voltage drivers will supply a fixed voltage at 12VDC or 24VDC. Not fit for purpose or do not match the sample or description. Any items that have been ordered in specifically for the client will incur a 20% restocking fee if returned. If these requirements are not satisfied HS Reflections reserves the right not to offer an exchange product or refund for change of mind returns. Alternatively on discretion of HS Reflections management a 20% restocking fee will apply. The product does not match the sample or our description; and HS Reflections may elect to return the product to the manufacturer’s repair agent to determine the nature of the problem. HS Reflections reserves the right not to offer an exchange voucher, refund or repair where the item fault is a result of misuse or neglect. Our goods come with guarantees that cannot be excluded under the Australian Consumer Law. You are entitled to a replacement or refund for a major failure and for compensation for any other reasonably foreseeable loss or damage. You are also entitled to have the goods repaired or replaced if the goods fail to be of acceptable quality and the failure does not amount to a major failure. HS Reflections reserves the right to Assess the condition and age of returned goods prior to providing a repair, exchange or refund. This may result in a repair, exchange or refund being refused.